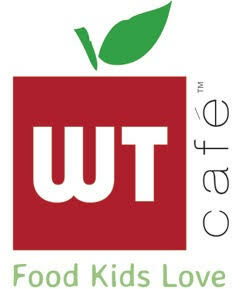 We are thrilled to welcome you to WT Café’s made from scratch school lunch program. Our local kitchen team works hard each day to prepare a variety of kid favorite foods using fresh and pure ingredients, so you can feel good about the food your child eats at school. Please see below for instructions on how to participate in the program. Thank you for the privilege of feeding your child! REGISTER yourself at http://wtcafe.com/atlanta-north as the Account Holder. Select Fulton Science Academy from the registration page dropdown. profile for all students and add Grade and Teacher name. CUSTOMIZE YOUR MENU by indicating dietary preferences for each user under MANAGEACCOUNT. Each user’s menu will be filtered by these and other tags that you set. CHOOSE YOUR MEAL SIZE. Appetites vary by child and activity level, but generallyRegular is for grades K-5, and Large is for grades 6-12. ORDER MEALS. Choose the days you want to order and make your Entrée selections,students will choose their 2 sides at school. Your selections will stay in your shopping cart until you are ready to CHECK OUT. With WT Café, you can order ahead as long as we receive your order 36 hours in advance for all menu choices or by 8 am the same day for a “Rush Order” (one choice only). CHECK OUT. You can either pay per transaction by credit card or set up a Prepaid Account with or without an auto-reload feature that keeps your account loaded for easy ordering. Fund a Pre-paid account today and let your child do the ordering! RECEIVE EMAIL CONFIRMATION. You receive a confirmation with each transaction. Premium Drinks, Snacks, Soups, house-made and freshly baked WT Creations, and ExtraEntrée portions are available on the website.